Losing friends, parents, or anyone close to you is a hard part of any teen’s life. To lose someone your own age makes things much worse. Teens, no matter what era they grow up in, believe they are invincible. They don’t think their friends will die, no matter what happens. This loss, when coupled with underage drinking, makes things so much worse. 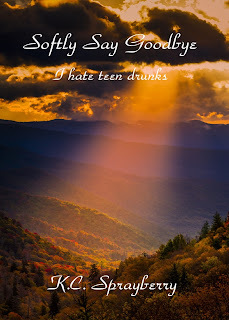 Erin Sellers, an eighteen-year-old high school senior, hates teen drinking. She and her three friends – Bill, her guy, Shari and Jake - decide to use Twitter to stop a group, the Kewl Krew, from using their high school as the local bar. But the members of this group are just as determined to stop anyone from messing up their fun. Despite veiled threats to her safety, Erin continues her crusade. A week before Valentine's Day, the most romantic day of the year, I want to throw my books into the nearest trashcan and run until my legs give out. Here I am, sitting in my art class, and Mr. Janks announces we have to do a term project but not just any term project. Oh no! We have to develop a major project like cleaning up the Rec Center's playground and painting a mural on the huge cylinders kids climb all over. Worse, I swear I heard something about a video. Who has time to do all that and a video? “Tell me Mr. J didn't say that,” I cry. The now protesting students echo my feelings. The new issue drives all other thoughts out of my head. Oh yeah, I heard right, and the timing is rotten. “Maybe we heard wrong?” I offer.